My old hard drive crashed so I had to replace it with a new one. I performed a fresh install of Windows 10 in it. I have a file history backup on my external hard drive, so I connected it and set up the file history on my new Windows installation successfully. It is backing up and working as it supposed to, but when I try to restore my old files it just crashes after I select the option and it starts to loading the files. I'm attaching the screenshot of what happens when I try to recover my files. 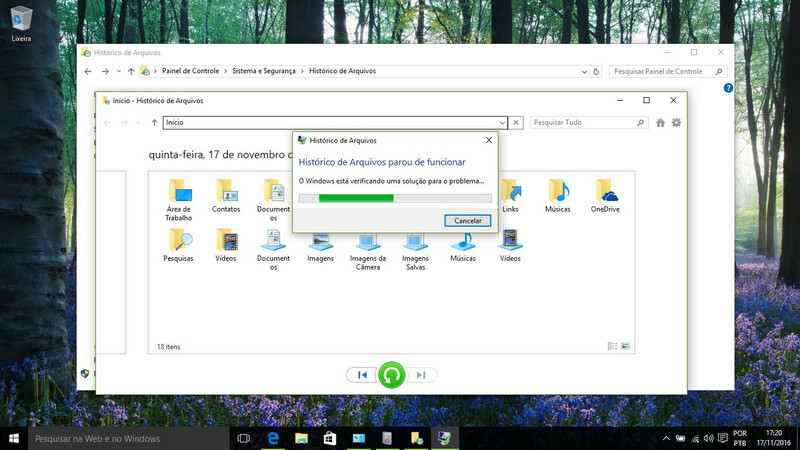 I found out that if you use a previous build of Windows 10, it is unable to recover files created with File History on newer builds, so after I updated my Windows 10 to the Anniversary Update, it worked again, although I have tried to recover my files in another way and did a mess... lost several files. Microsoft could at least warn about the possibility of not being able to recover files on previous versions of Windows 10. Not the answer you're looking for? Browse other questions tagged windows-10 backup crash file-history or ask your own question.